Sharon Daly is the Chief Operating Officer at Steer. Sharon is accountable for the operational aspects across the company’s 20 offices in Europe, North America, South America and India. Sharon was a mentor in the pilot year of our Advance programme and has continued to meet with her mentee. In this guest blog, Sharon shares her experience of being an Advance mentor and shares her advice for women working in the transport sector looking to progress their career. "The importance of networking cannot be overstated"
In a male-dominated sector, men are essential in championing and supporting the careers of women working in transport. 50% of our Advance mentors are men, in this blog, Matthew Reagan discusses how he became one of them and provides advice for women looking to progress in the transport sector. TXM Recruit has sponsored the Advance mentoring programme for two years. TXM Group Director, Gary Lincoln, has been a mentor in both years. Here he discusses why TXM supports Women in Transport and why he is personally so passionate about promoting gender balance in transport and engineering. Applications are now closed for the Advance mentoring programme. Thanks to everyone who took the time and effort to submit an application to be a mentor or mentee. We will be contacting all the applicants at the end of next week to confirm their place for the training session on 22 November. 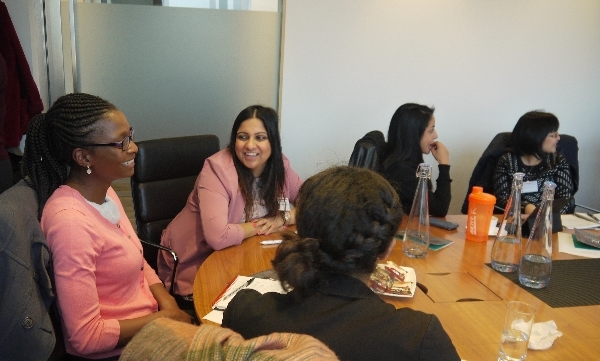 Women in Transport is delighted to announce the launch of Advance - a mentoring programme designed exclusively to support the professional development of our members and sponsored by ENGIE and TXM Recruit. Applications to be a mentor or mentee are open until 31 October 2017.